Sir Henry Parkes was a distinguished diplomat who was awarded a KCB at the early age of 34 and served for many years in China and Japan. 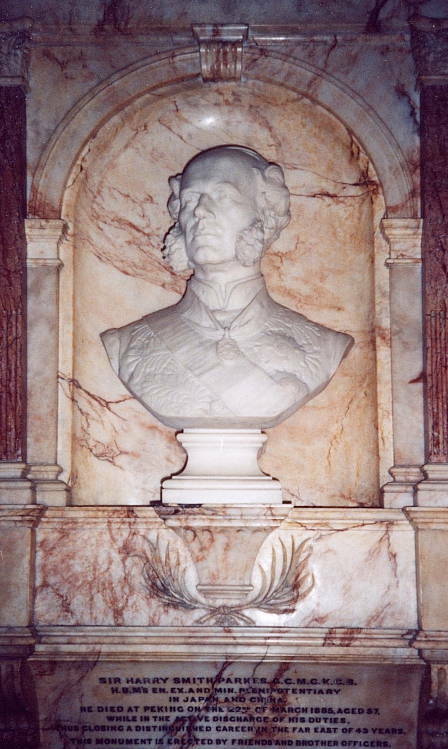 Brock's head and shoulder bust, set in an elaborate marble surround, shows Parkes in diplomatic uniform with the star and sash of a GCMG. The monument, in the crypt of St Paul's, was unveiled by Sir Rutherford Alcock in 1887.